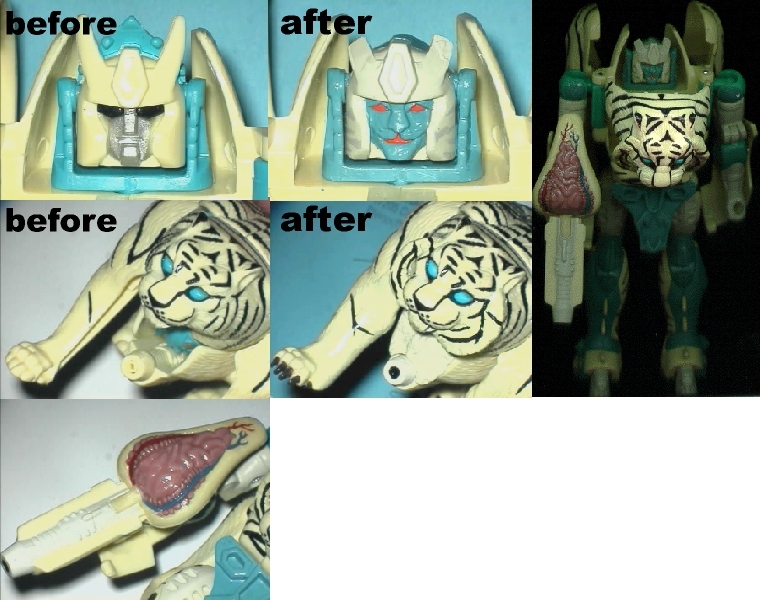 Tigatron's Robot and beast head each needed to be resculpted. Making the white cheetah head more tiger-like was actually quite easy by adding 'cheek bones'. The gun was given appropriate coloring as were legs & arms.